The Tabán has been inhabited since Neolithic times, due to its location in a protected valley, the thermal waters at the bottom of the Gellért Hill and the ford over the Danube. In the Iron Age, it was inhabited by a tribe of Celts, who were replaced by the Romans in the 1st century BC. In the Middle Ages, the Tabán was a village right under the Buda Castle. The Turks developed the thermal medicinal baths in the area and brought immigrants from the Balkans. The population increased after the liberation of Hungary from the Turks as refugees came from Greece, Bosnia and Serbia. The Franciscans from Bosnia established the parish church in the 17th Century which still exists today and the Orthodox inhabitants established their own parish. In the 18th Century, the town was inhabited by Serbs, Greeks, Vlachs, Germans, Croats, Slovaks and Gypsies. In the 19th Century, the Tabán became known as a Bohemian quarter of Budapest with many restaurants, bars and bordellos. Its narrow streets on the hillsides echoed a Mediterranean atmosphere. In the 1930s, the Tabán was demolished in order to facilitate urban planning in Budapest. 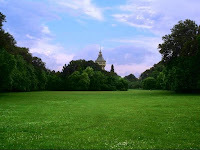 Today, it is a park very popular with the population of the capital. The history of Tabán is inseparable from that of the neighboring Naphegy and Gellérthegy districts. After the 1930 urban planning in Budapest, only a few old Tabán houses were left in the Naphegy district; one of them was the Tabán school, which was destroyed in January 1945, during the battle of Budapest. Today a sports field can be found where the school once stood. The only original streets remaining are Orom Street in Gellérthegy and Tabán Czakó Street in Naphegy. If you would like to visist this nice place you should take an audio guided tour with a professional Budapest tour guide. Maybe he can recommend you a comfortable accomodation in Budapest too. For 95% of the population, mostly Hungarians, the mother tongue is Hungarian, a Finno-Ugric language unrelated to any neighbouring language and distantly related to Finnish and Estonian. Several ethnic minorities exist: Roma (2.1%), Germans (1.2%), Slovaks (0.4%), Croats (0.2%), Romanians (0.1%),Serbs (0.1%) and Ukrainians (0.1%). According to census data, the largest religion in Hungary is Roman Catholicism (53% of the population), with a significant Calvinist minority (14% of the population) and smaller Lutheran (3%) and Greek Catholic (3%) minorities. However, these census figures are representative of religious affiliation rather than practice; an estimated 10-14% of Hungarians attend religious services at least once a week and fewer than 50% at least once a year, while 30% of Hungarians do not believe in God. For historical reasons, significant Hungarian minority populations can be found in the surrounding countries, notably in Romania (in Transylvania), Slovakia, Serbia (in Vojvodina), Ukraine (in Transcarpathia), Croatia (mainly Slavonia) and Austria (in Burgenland); Slovenia is also host to a number of ethnic Magyars, where Hungarian language has an official status. 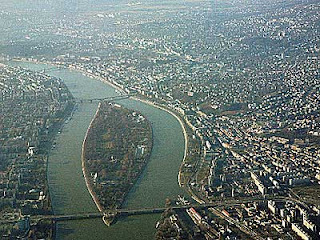 The real number of Roma people, known colloquially as "Gypsies", in Hungary is a disputed question. In the 2001 census, only 190,000 people called themselves Roma, but experts and Roma organisations estimate that there are between 450,000 and 600,000 Roma living in Hungary. Since World War II, the size of the Roma population has increased rapidly. Today every fifth or sixth newborn Hungarian child belongs to the Roma minority. Estimates based on current demographic trends claim that in 2050 15-20 percent of the population (1.2 million people) will be Roma. It’s really nice to have a relaxing walk here. 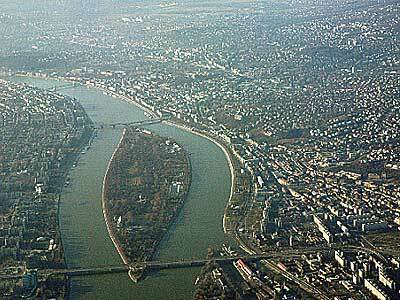 This is one of the biggest island of Hungary. Each season shows the beautiful nature and peace of those parks. The green oasis of the City park offers a huge variety of Budapest tourism attractions for example the biggest thermal bath in Budapest and the zoo. Instead in Margaret island the main things to see are the ruins of the Franciscan church, the church and the convent of the Dominicans, the rock garden, the Avenue of the Artists, the rose garden, the water tower, the pool Palatinus (what really famous is in Budapest) and the pool Hajos Alfred, the small zoo, an outdoor theater.